This is the closest we’re going to come to Anderson Silva vs. Vitor Belfort at a soccer stadium in Brazil. At least for now. During a media event Tuesday in Curitiba, Silva and Belfort both engaged each other in a friendly game of soccer, volleying the ball back and forth. The video was captured by the UFC Brazil Instagram. Esbanjando categoria! @spiderandersonsilva e @vitorbelfort bateram uma bolinha nesta terça em Curitiba, no palco do #UFC198 . Como eles se saíram? The two men will compete at UFC 198 on May 14 inside that stadium, Arena da Baixada. Just not against each other. Silva takes on Uriah Hall, while Belfort faces Ronaldo Souza. Silva, of course, famously knocked Belfort out in the first round of their middleweight title fight at UFC 126 in 2011 with a front kick to the face. That bout catapulted the UFC and MMA in Brazil. There were rumors of a rematch in Brazil earlier this year, but things didn’t pan out. 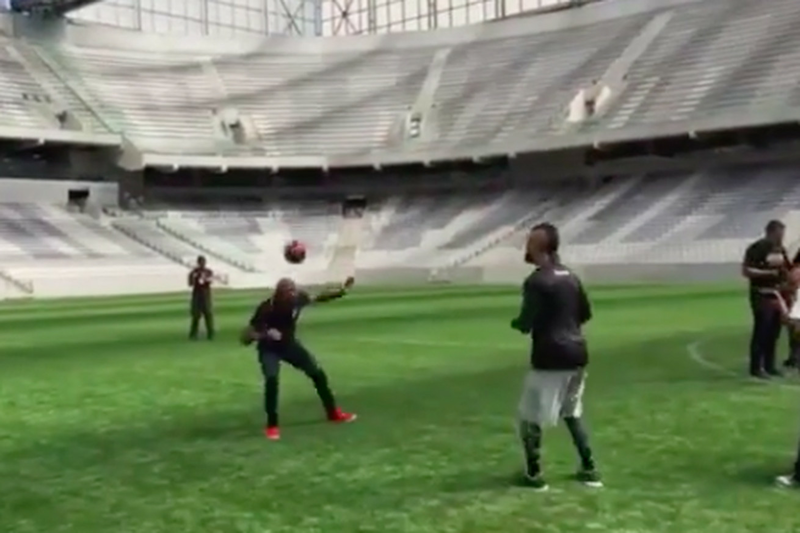 The two legends playing soccer with each other might be the best we’re going to do.